Our next DXpedition will take place from Kenya between November 4 and 18, 2015. We are active with two stations from 160m through 6m on CW, SSB, RTTY and PSK31. Please check our News Page. Our equipment consists of two K2 transceivers K2, two OX1000 power amplifiers, a 18m lowband vertical, a 40m and a 30m loop, a Spiderbeam for 20m through 10m, a 5 ele yagi for 6m as well as a few laptop computers. Postage needed for 1 envelope with 20 Gramm (FYI): A letter within DL = 62 Euro Cent, a international letter costs 80 Euro Cent. 1 US$ is equal to 69 Euro Cent. So please keep in mind that 1 US$ - due to the bad exchange rate between the US$ and the Euro - does not cover the postage needed for an international air mail letter! Economy: Kenya is the economic and transport hub of East Africa. Kenya’s real GDP growth has averaged around 5% for the past several years. According to recently rebased national statistics, Kenya’s GDP for 2013 was $55.3 billion, placing Kenya among the low middle income countries with per capita income of $1,300. Agriculture remains the backbone of the Kenyan economy, contributing 25% of GDP. About 80% of Kenya’s population of roughly 42 million work at least part-time in the agricultural sector, including livestock and pastoral activities. Over 75% of agricultural output is from small-scale, rain-fed farming or livestock production. While Kenya has a growing entrepreneurial middle class, faster growth and poverty reduction is hampered by corruption and by reliance upon several primary goods whose prices have remained low. Inadequate infrastructure threatens Kenya's long-term position as the largest East African economy, although the KENYATTA administration has prioritized infrastructure development. International financial lenders and donors remain important to Kenya's economic growth and development, but Kenya has also successfully raised capital in the global bond market. Kenya issued its first sovereign bond offering in mid-2014, generating $2 billion at 6% interest; the funds are slated to be used for infrastructure projects. Nairobi has contracted with a Chinese company to begin construction of a new standard gauge railway, but the project allegedly has been beset by corruption and fraud. Unemployment is high at around 40%. The country has chronic budget deficits and is in the process of devolving some state revenues and responsibilities to the counties. Inflationary pressures and sharp currency depreciation peaked in early 2012 but have since abated following low global food and fuel prices and monetary interventions by the Central Bank. 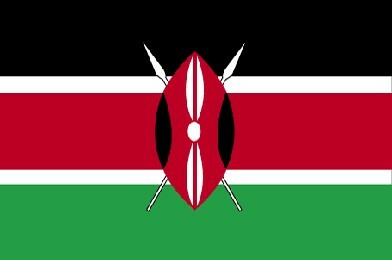 Recent terrorism in Kenya and the surrounding region threatens Kenya's important tourism industry.